Q - Do I need a Pumped model? A - Our glass or dishwasher ranges are available as a standard “Gravity Waste” or “Pumped Waste” model. If your waste is higher than the machine then a pumped waste model would be required. “ Gravity Waste” is when the water from the waste outlet on the glass or dishwasher enters the drain beneath the machine. “ Pumped Waste” is when the drain is level with or above the machine’s waste outlet the water needs to be pumped upwards into a stand pipe. Q - Do I need a Water Softener? A - We always recommend you use a Water Softener to get the best results from your glass or dishwasher and to protect against lime scale. In hard water areas a water softener is a necessity, if you are not sure you are in a hard water area please do not hesitate to contact us for help. Q - What size do I need? A - The 8 litre is suitable for our smaller EMP631 glass washer. The 12 litre is suitable for the 742 and 824 models and the 16 litre for the larger dishwasher range. Q - Do I need a Water Filter for my Ice Maker? A - W e strongly recommend that all Ice Makers are fitted with a sufficient water filter to ensure they perform at maximum efficiency. Service calls relating to hard water problems will not be covered by warranty. Q - What power supply do I need? A - Our EMP631 & 742 glass washers require a 13amp 3 pin plug. The 824 models require a 20amp double pole switch. 1342 requires either a 20amp double pole switch or 3 phase 32amp isolator. 62P requires a 3 phase 32amp isolator. All our Ice machines require a 13amp 3 pin plug. Q - Do I need a Booster Pump? A - Yes if your water pressure is low, as most basic glass or dishwashers rely on a good water pressure to rinse at the end of the wash cycle. If a good pressure of water is not available or a hot water supply is used the option is to have a Booster Pump fitted. This additional option will give consistent results whatever the water supply is like. Q - Do I need a Stand? A - Providing you have the height available a stand will raise your machine from the floor up to a more convenient level for easier access. Q - Whose responsible for checking the dimensions of the equipment and that I have the correct services for the equipment I am purchasing? A - It is the purchaser’s responsibility to ensure you have adequate space and service for all equipment you purchase and that you have reasonable access for delivery. Q - Can you carry out a site survey? A - We would be pleased to offer you a quotation for this, please contact us with your requirements. 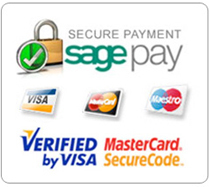 A - Orders can be placed online via our secure website paying either by credit or debit card alternatively you can call our Freephone 0800 716582 where we can process your order personally. Q - When will I receive my goods? 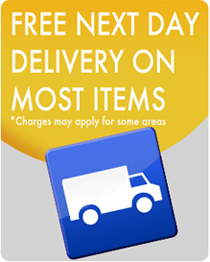 A - All glass/dishwashers and Icemakers can be delivered next day providing your order is received before 2.30PM. Other items delivered direct from our manufacturers are received within 4-5 working days. Delivery is free of charge to all UK Mainland destinations with the exceptions of the following postcodes where a surcharge will apply AB DD HS KW IV PH PA FK KY ZE G63 G82 G83 G84. Please call the office for further details. Q - Will you unpack & install my new equipment? Q - Can you dispose of my old equipment? A - Yes we would be pleased to offer you a quotation for this, please contact us with your requirements. Q - Can I purchase spare parts for my equipment? A - Yes, all the spares we sell are genuine original manufacturer’s spares for all our glass/dishwashers and ice machines. Please call the office and ask for the spares department for further assistance. Q - Can I return the items to you I have purchased? A - We will only accept returns for undamaged and unused items and only if returned in their original packaging unopened and available for resale without repackaging. This is also subject to a restocking charge and delivery charges. In the unlikely event of an item being damaged we will only replace or credit goods signed for at the time of delivery as “received damaged” unfortunately carriers will not allow any claims for damages once you have signed for the goods unless you clearly sign for them as “damaged” Please ensure you check your goods prior to signing for them.